In August, Helena visited Amazon, Seattle, USA and gave a talk about Iterated Local Search. 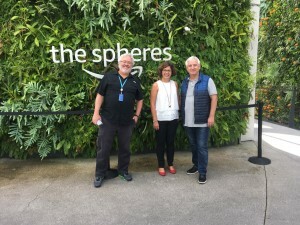 She met with Mauricio Resende and José Fernando Gonçales and visit The Spheres. This entry was posted in Events and Conferences on October 13, 2018 by lena.